It’s not too early to schedule your year-end review! Talk with your Fiscal Accounting Consultant about the steps involved and scheduling your appointments in advance. We usually add a number of new clients at year-end and our schedules can fill up quickly. We want to make sure our current clients’ work is handled in a timely manner. Our staff members come armed with a 4-page checklist detailing all the tasks and deadlines to make sure your tax obligations are met and your books are CPA ready in plenty of time for on-time tax filing in March or April. Right now is the time to send your accounting file or financial reports to your CPA. He or she will recommend any last minute actions you can take to reduce your taxable income. Remember transactions must be dated by December 31st. If your tax return is prepared on a cash basis, pay as many bills as cash flow allows and postpone receiving customer payments. If done on an accrual basis, purchase new equipment or supplies and make sure the vendors date your bills dated prior to year-end. 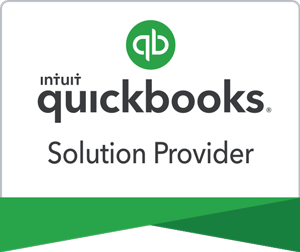 Check to see that you have current W-9 forms from all your subcontractors and verify that employee addresses are still correct in your QuickBooks file. 1099’s and W-2’s are due to subcontractors and vendors by January 31st. If you’d like to get a head start on closing the year or are the do-it-yourself type, Linda has just finished writing our first eBook aptly titled, ‘Tis the Season! Tax Season, That Is! containing our 4-page list plus instructions. It is available on our website for $9.97. If you’re interested, just go to Products on the main navigation bar. Then ‘Add to Cart’. We accept VISA, MasterCard and PayPal!